Arsenal will book an early place in the Europa League knockout rounds if avoiding defeat against Red Star Belgrade and we expect the Gunners to make sure with a win. Arsene Wenger’s side gave us three successful bets when beating the same opponents, also known as Crvena Zvezda, 1-0 in Serbia two weeks ago, including a 25/4 correct score pay-out. We’re hoping the Gunners open up a bit more on home turf, with 4/5 for a home win and over 2.5 goals the first of our Arsenal vs Red Star Belgrade betting predictions. An 85th-minute moment of magic from Olivier Giroud gave Arsenal victory in Belgrade, with the France forward hitting the top corner of the net with his overhead kick. Wenger has chosen to rotate his squad for the Europa League games and that is sure to be the case again here ahead of Sunday’s tough Premier League trip to Manchester City. 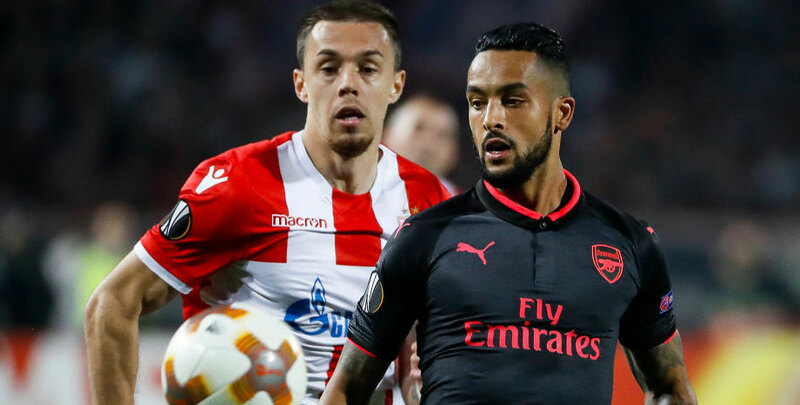 However, Theo Walcott has started the last couple of Group H fixtures alongside Giroud up front and he hit a double in the 4-2 triumph at BATE Borisov. Many of the same players featured in a 2-1 extra-time EFL Cup win over Norwich, when 18-year-old Eddie Nketiah came off the bench to bag a brace, so there is some continuity for the shadow squad. That could help the Gunners get off to a faster start here, so 91/100 for the hosts to lead at half-time and full-time is added to our Arsenal vs Red Star Belgrade betting tips. Red Star did have a couple of good chances in the first encounter, with Richmond Boakye heading against the woodwork and Nemanja Radonjic forcing Petr Cech to make a solid save. The visitors have won their last four Serbian League fixtures and top the domestic table by four points with half of the season gone. Aleksandar Pesic was only used as a late substitute when Arsenal visited but is another player to look out for after netting seven times in that division so far. Red Star have scored in five straight European away games, including wins over Sparta Prague in the qualifying rounds and Cologne in this pool, so they aren’t the type of team to fold on the road. That makes 17/10 for a home win and both teams to score look tempting from the Arsenal vs Red Star Belgrade odds.